I CALL YOU TO LIVE BY THE LOVE OF OUR TRINITY. It is necessary that within Humanity there exists creatures with the responsibility of being aware that you have managed to make a chaos out of Creation, and who of their own volition wish to make reparation for the misuse that humanity has made of what it has received from the Hands of God. Some of Humanity’s advances are great and beneficial and this is good, but man, misusing free will, has set about taking some advances and subjecting them to the service of evil. My People are not chained but have full freedom so that each person chooses the direction in which to go; I do not force man to take one path or another, hence the importance of man’s knowledge, and you should find its basis within My Church. My People disobey; knowing that not all the leaders of the nations will find the necessary consensus to attain the world’s unity, they give themselves little by little into the hands of those who, with evil power, have come to make themselves felt to be indispensable for the peoples’ survival, offering economic, health or educational solutions that are contaminated and are taken by those who need to keep the nations surviving. MAN TENDS TO ENJOY HIS INDEPENDENCE - THAT IS WHY EVERY TRACE OF OUR LOVE WILL BE DESTINED TO DISAPPEAR. THEREFORE YOU MUST SEEK SPIRITUAL UNION WITH OUR TRINITY, BECAUSE WHAT REMAINS IN THE SOUL CANNOT BE TAKEN AWAY, AND THAT LOVE IS WHAT I HAVE BEEN SEEKING FOR SO MANY YEARS. This generation has gathered together the wrong that they have inherited from previous generations in order to rebel against Me, and creating their own liberal doctrine, many of My children have surrendered to evil and many others are on the edge of the precipice. MY PEOPLE, YOU WANT EVIL TO SHOW ITSELF BEFORE YOU, YET THIS IS NOT HOW IT WILL BE: EVIL ACTS IN THE DARKNESS, IN DECEIT, IN CONFUSION, IN ORDERS CONTRARY TO THOSE ESTABLISHED, BUT WHICH APPEAR TO BE THE TRUTH - THEREFORE YOU MUST KNOW THE TRUTH IN ORDER NOT TO FALL INTO SUBVERSION. Do not forget to pray; do not remain stationary, but act in favor of your brothers and sisters so that they are not led by the tentacles of evil. Stand firm against the evil oppressor of the soul. MY CHILDREN ARE CALLED TO REMAIN AWARE THAT THEY ARE BODY, SOUL AND SPIRIT (cf. 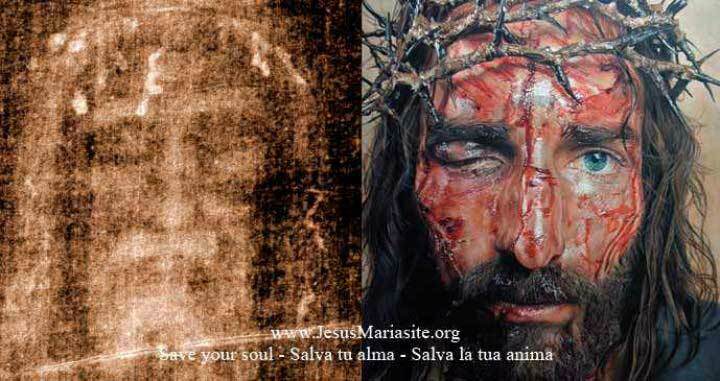 I Thess 5,23) AND THAT THEY ARE CALLED TO SAVE THE SOUL. YOU MUST KNOW THAT YOU WILL SUCCEED IN MAINTAINING UNION WITH ME IF YOU LIVE CONSTANTLY WITH THE DESIRE NOT TO FEEL THE WEIGHT OF THE WORK THAT HAS BEEN ENTRUSTED TO YOU, BUT IN THE JOY OF RECOGNIZING MY PRESENCE IN YOUR BROTHERS AND SISTERS. The one who knows about Me must constantly make Me known to their brothers and sisters, since they should not seek personal salvation, but wish for the greatest number of souls to come to the knowledge of the Truth. I call you to save the soul and you will not achieve this if not by being aware of your duty as children of God, specifically of being aware of your works and actions. My Beloved People, Nature moves tied to the Divine Will, yet does man walk in the Divine Will? I WISH THAT MY PEOPLE WOULD ANSWER THEMSELVES IN ORDER TO ASK WHETHER THEY NEED TO BE SEVERELY CALLED BY MY LOVE TO GO BACK TO TRULY BEING MY PEOPLE. Nature is changing its natural action, Humanity is a witness to the imminent hand of Nature outside its normal scope, making itself felt upon man with a frequency that is not normal. Children, ask yourselves: to what is this due? IN THIS WAY, WHEN ANSWERING, YOU WILL RECOGNIZE THAT SOMETHING IS NOT OCCURRING CORRECTLY IN YOU: THIS SOMETHING IS MY PEOPLE'S LACK OF LOVE TOWARDS ME. Creation trembles: it is astonished at the irreverence, the disrespect of man, the blasphemies, the heresies in constant circulation before Humanity and that are applauded by a great majority. What is the result of union with evil? Water wishes to purify the Earth of so much evil, of so much blood that man pours upon it without reason; it wishes to purify the Earth of the corpses that are consumed upon Her, being the innocence of which life has been stripped. My people, the earth trembles at the imminence of the fulfillment of the Prophecies of My Mother and of Me; man stops believing that I anticipate the suffering of Humanity so that you would convert – not out of fear, but out of love and in order to save your souls. The earth cracks and volcanoes become active, I call you to pray for Central America. I call My Colombian children to make amends and adhere to the Truth of My Word. I call My children to pray for Chile so that suffering diminishes and so that suffering is not taken in such a way as to turn away from Me, but to approach Me. Indonesia should be included in your prayers, suffering lies ahead for Italy and I request prayers for Italy. The earth trembles from North to South and from East to West, the United States suffers from within. The celestial bodies remain in constant movement, threatening the Earth. I call you to pray for Argentina, you will recognize that when I call you must heed My Call. COME TO ME, AT THE BEGINNING OF LIFE, HALFWAY THROUGH LIFE, AT THE END OF LIFE, COME TO ME. But do not wait at the last instant in the interest of saving yourselves, LIVE IN ME NOW and find true happiness. Man must use his conscience for salvation and Truth for finding the soul’s fusion with its Creator. COME TO ME, THOSE WHO WISH TO WALK AND TO BE WHAT THE WORLD REJECTS: LOVE, MY LOVE. COME TO ME, CHILDREN: EXCESS AND ATTACHMENT TO WHAT IS MATERIAL AND TO PLEASURES SEEM BEAUTIFUL AND APPEALING, BUT THEY DO NOT GIVE YOU ETERNAL SALVATION. Remain in Me so that with faith you survive whatever comes your way. I BLESS WHOEVER TREASURES THIS CALL OF MINE WITH LOVE AND A DESIRE FOR CONVERSION. My Love leads you to awareness of the urgency of Eternal Salvation. My People, do not fear, I remain with you.